Natalia Edisherashvili Communicative Language Teaching in Georgia From Theory to Practice In a globalizing world , the majority of language learners need to study foreign languages for real - life purposes , in order to be able to communicate beyond the bounds of their own country and to stay connected with the rest of the world . This is especially important for the populations of smaller countries such as Georgia , whose native language is spoken only within its own territory . Strongly prioritizing foreign language education since post - Soviet times , successive governments of Georgia have been making efforts to transform language teaching in such a way as to meet Georgian learners â practical , communicative needs . Ambitious efforts to this end have been visible in recent years . However , the extent to which the policies implemented have had an effect upon the actual classroom setting is a largely under - researched question . 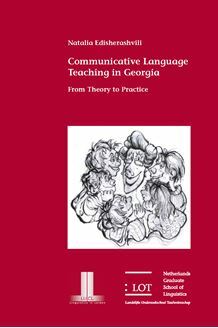 The present investigation aims at exploring whether the instruction provided at secondary schools in the capital city of Georgia meets the requirements of Communicative Language Teaching and whether the aims of improving learners â communicative proficiency are met . As the study reveals , even though at the theoretical level the imposed teaching methodology is well accepted , many difficulties are observed in practice . Moreover , it is established that at private schools the situation is more promising than at public ones . This study attempts to provide a better understanding of the English language teaching situation in Tbilisi today . It also provides recommendations with regard to what still needs to be changed so that language teaching offered at schools can better achieve its aims .